Filler is an injection treatment that can reduce lines and wrinkles, fill out crow’s feet and forehead furrows and subtly shape the face the way you want it. Filler treatments can also be used to provide fuller lips and is generally a beautifying skin treatment that, for many people, means achieving a healthier and younger appearance. With age comes a gradual reduction of the amount of hyaluronic acid in the skin – which makes the skin less firm in texture. Hyaluronic acid is a hydrophilic substance that provides moisture to the skin, leaving it soft and elastic, and the gel that we use is based on hyaluronic acid, a sugar molecule that is confusingly similar to the body’s own one. When we inject a filler for wrinkles and lines, the result looks natural: The skin becomes smooth and more resilient giving us a fresher and more youthful look. Inviocare uses non-permanent fillers that contain 98% water and 2% hyaluronic acid. The products are developed for cosmetic treatments on the face, neck, décolleté and hands. The crystal-clear gel is either injected in to the skin or just underneath it, in small amounts. The risk of allergic reactions or hypersensitivity is very low, as the products are manufactured without using any animal proteins. HOW MANY ML. SHOULD I BE TREATED WITH? It is individually how many ml. we use for a filler treatment. We always advise you before a treatment and please contact the clinic if you have any questions. Fillers can give you more beautiful skin on the face, neck, décolleté and hands. 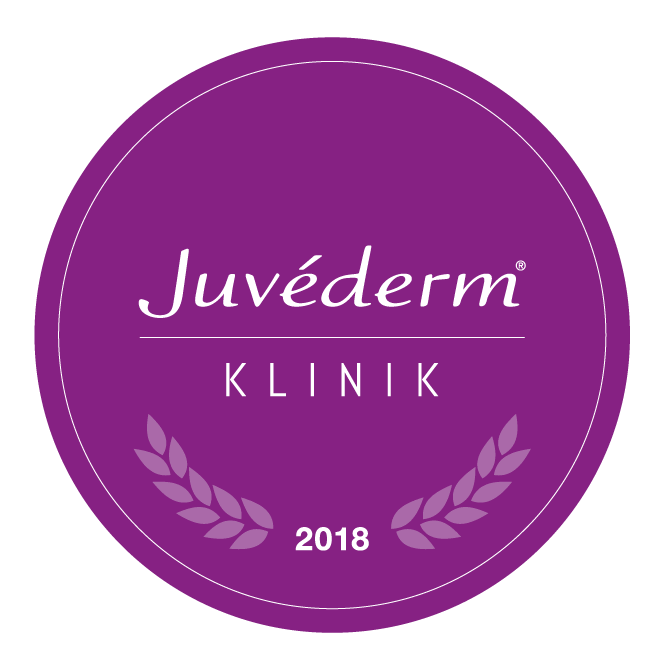 The treatments fill out the skin, where we naturally loose collagen with age, and the result is a fresher, wrinkle-free and vital appearance. Fillers are also used on lips to make them fuller. The result from fillers is a natural look; vital, vibrant and subtle. You will notice the result immediately after the treatment, but the full effect will reveal itself one week later, when the product has been integrated with the surrounding tissue. A retouch treatment is recommended after a few weeks and can optimise the result and prolong the effect of the treatment. If you are happy with the result, the treatment should be repeated 1-2 times per year, depending on the area that we have treated. Areas we can treat: Filler in the lips, deep furrows from the nose to the mouth, lost volume in the cheeks and cheekbones, down-pointing mouth, tear through, “smoker’s wrinkles” around the mouth, throat, décolleté and hands. Before your first filler treatment at Inviocare, you must have a free consultation. It is also a legal requirement that you have 48 hours of reflection before the treatment itself. 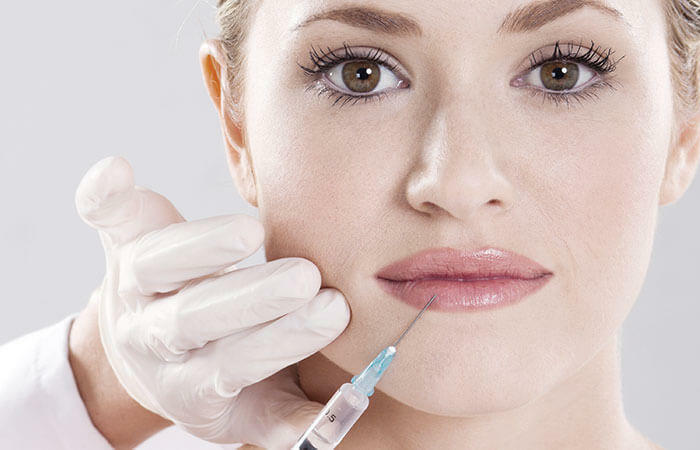 Fillers are injected into or just under the skin in areas where the skin is thin and therefore a bit more sensitive. You sit reclined in a clinic chair throughout the treatment, so that you are as relaxed as possible and the therapist has full access to the treatment area. The treatment is not completely pain free, but your therapist can use a local anesthetic cream or give a local anaesthetic when treating the lip/mouth area, if you wish. The treatment area is disinfected before the injection. The product is inserted into the skin with a fine needle. Immediately after the treatment, you might experience slight redness, swelling, tenderness, or itching of the treated area. This is a normal side effect but the discomfort is temporary and generally goes away within 1-2 days. The first swelling after a lip treatment can last a bit longer. The final result will appear about one week after any swelling or bruising has subsided. Then it takes another 2-3 weeks before the filler is fully integrated with your body’s own tissue and your natural looking result is complete.